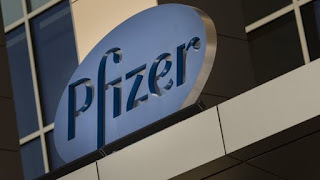 Pharmaceutical giant Pfizer is mulling the sale or spin-off of its consumer health business, a division that includes brands such as Advil, Robitussin and ChapStick. The company is looking to "maximise value" for shareholders through a possible deal, Pfizer chief executive Ian Read said. Pfizer's consumer health business had revenues of $3.4bn (£2.6bn) in 2016. That accounted for about 6% of the firm's total revenue. Mr Read said the unit's operations were "distinct enough from our core business that there is potential for its value to be more fully realised outside the company". Options include a partial sale or retaining the division. A final decision is expected in 2018.